This page is for those who want the instructions to build an elegant LEGO rose. 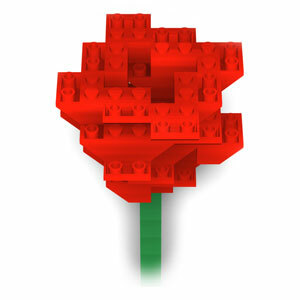 If you are ready now, let's have a fun learning to build an elegant LEGO rose. 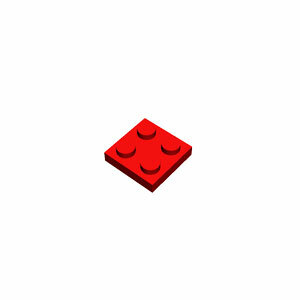 Here we will build a elegant LEGO rose. Get one red 2x2 plate and prepare to drop it. 1. Get four 2x2/45° inverted roof tiles and prepare to drop the 1st inverted roof tile. We will make a square shape with four inverted roof tiles. 2. Prepare to drop the 2nd red 2x2/45° inverted roof tile. 3. Prepare to drop the 3rd red 2x2/45° inverted roof tile. 4. Prepare to drop the 4th red 2x2/45° inverted roof tile. 5. 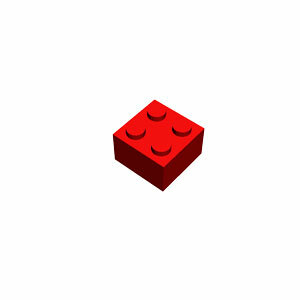 Get one red 2x2 brick and prepare to drop it. 6. Get four 2x2/45° inverted roof tiles and prepare to drop the 1st inverted roof tile. We will make a cross shape with four inverted roof tiles. 7. Prepare to drop the 2nd red 2x2/45° inverted roof tile. 8. Prepare to drop the 3rd red 2x2/45° inverted roof tile. 9. Prepare to drop the 4th red 2x2/45° inverted roof tile. 10. Get eight 2x2/45° inverted roof tiles and prepare to drop the 1st inverted roof tile. We will make a pinwheel shape with eight inverted roof tiles. 11. Prepare to drop the 2nd red 2x2/45° inverted roof tile. 12. Prepare to drop the 3rd red 2x2/45° inverted roof tile. 13. Prepare to drop the 4th red 2x2/45° inverted roof tile. 14. Prepare to drop the 5th red 2x2/45° inverted roof tile. 15. Prepare to drop the 6th red 2x2/45° inverted roof tile. 16. Prepare to drop the 7th red 2x2/45° inverted roof tile. 17. Prepare to drop the 8th red 2x2/45° inverted roof tile. 18. Get eight 2x2/45° inverted roof tiles and prepare to drop the 1st inverted roof tile. We will make a square shape with eight inverted roof tiles. 19. Prepare to drop the 2nd red 2x2/45° inverted roof tile. 20. Prepare to drop the 3rd red 2x2/45° inverted roof tile. 21. Prepare to drop the 4th red 2x2/45° inverted roof tile. 22. Prepare to drop the 5th red 2x2/45° inverted roof tile. 23. Prepare to drop the 6th red 2x2/45° inverted roof tile. 24. Prepare to drop the 7th red 2x2/45° inverted roof tile. 25. Prepare to drop the 8th red 2x2/45° inverted roof tile. 26. Get eight 2x2/45° inverted roof tiles and prepare to drop the 1st inverted roof tile. We will make a large pinwheel shape with eight inverted roof tiles. 27. Prepare to drop the 2nd red 2x2/45° inverted roof tile. 28. Prepare to drop the 3rd red 2x2/45° inverted roof tile. 29. Prepare to drop the 4th red 2x2/45° inverted roof tile. 30. Prepare to drop the 5th red 2x2/45° inverted roof tile. 31. Prepare to drop the 6th red 2x2/45° inverted roof tile. 32. Prepare to drop the 7th red 2x2/45° inverted roof tile. 33. Prepare to drop the 8th red 2x2/45° inverted roof tile. 34. Prepare to turn the rose model over. 35. Get one 1x1 green bricks and prepare to drop the 1st one. 36. Prepare to drop the 2nd 1x1 green brick. 37. Prepare to drop the 3rd 1x1 green brick. 38. Prepare to drop the 4th 1x1 green brick. 39. Prepare to drop the 5th 1x1 green brick. 40. Prepare to drop the 6th 1x1 green brick. 41. 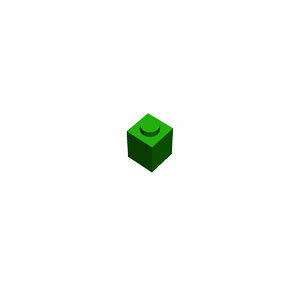 Prepare to drop a pre-assembled 1x1 green bricks. 42. Prepare to rotate the rose with a stem by 180°. 43. Congratulation! 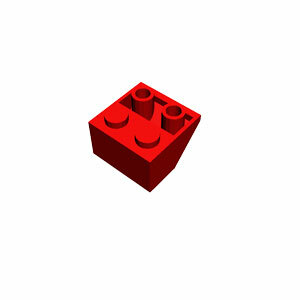 You have completed making a elegant LEGO rose.